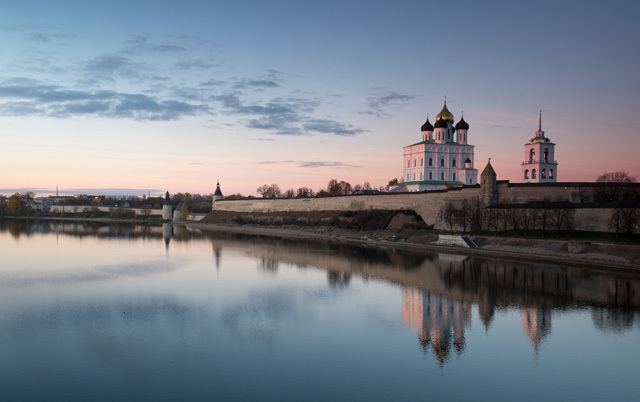 Notes: Pskov still preserves much of its medieval walls, built from the 13th century on. Its medieval citadel is called either the Krom or the Kremlin. Within its walls rises the 256-foot (78 m) tall Trinity Cathedral, founded in 1138 and rebuilt in the 1690s. The cathedral contains the tombs of saint princes Vsevolod (died in 1138) and Dovmont (died in 1299).